Batman saves a young boy who was kidnapped by Killer Croc who was hired by Poison Ivy. While chasing Catwoman, Batman is seriously injured as he falls from a building. He teams up with Catwoman and follows Poison Ivy to Metropolis and fights Superman who is under Poison Ivys control. 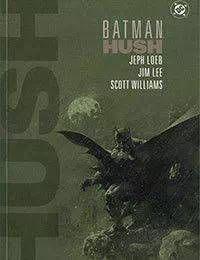 Batman is able to help Superman regain control of himself and stop Poison Ivy as Hush watches from the sidelines.